Last week, Hulu announced that it will extend video streaming services this summer—and disrupt already low summertime productivity—by providing free, full TV episodes and movies on mobile devices, a feature normally reserved for Hulu Plus subscribers and limited to select clips. Although this is probably a temporary, promotional stunt to boost subscribership, the announcement comes just a week after the U.S. Supreme Court considered the legal implications of a similar video streaming service. On Tuesday, April 22, 2014, the Supreme Court heard oral arguments for American Broadcasting Company, Inc. v. Aereo, Inc—for a thorough discussion of the case, see our winter publication. The premise of the case focuses on Aereo’s business model. The company provides its subscribers (currently, limited to NYC residents) unique technology: each subscriber is assigned a small antenna located at Aereo’s facility which captures and records live TV broadcasts and re-distributes them to the subscribers’ devices over the Internet. Subscribers can then watch shows live on their mobile devices, stop, and pick up the same programming when they get home on their tablet, computer, or TV. ABC, the named plaintiff on behalf of several other major broadcasting companies, argues that Aereo’s recording of their programs violates copyright law. 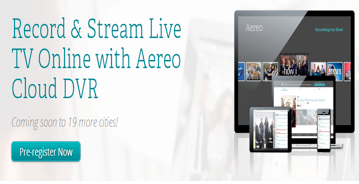 Aereo does not hold a license to record and retransmit copyrighted material. Thus, Aereo’s services may constitute a public performance. In addition, Aereo is not paying broadcast companies royalties like cable companies or providers, such as Hulu or Netflix, do. Aereo argues that their transmissions are private performances since each subscriber individually records shows through his or her personal antennas and those recordings are only available to that subscriber through his or her own devices. Aereo thus claims that it’s only helping viewers do what they could’ve done already: watch the free broadcast television delivered over public airwaves. The Justices seemed to struggle with the ramifications of deciding either for or against Aereo. The Court specifically noted that Aereo is purposefully designed to circumvent legal prohibitions and expressed concerns for either allowing over-engineered technologies to exploit legal loopholes or deterring further technological innovations. The case will turn on how the Court decides to characterize Aereo’s services. The ultimate decision, expected later this summer, will likely highlight a need to update legislation to reflect changes in technology.